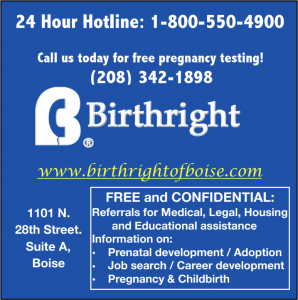 Birthright provides caring, non-judgmental support to girls and women who are distressed by an unplanned pregnancy. 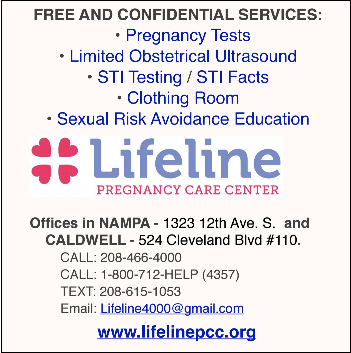 We provide friendship and emotional support, free pregnancy testing, and maternity and baby clothes. All services are free, absolutely confidential, and available to any woman regardless of age, race, creed, economic or marital status. Lifeline provides practical, spiritual and emotional help to all who are dealing with the effects of an unplanned pregnancy, adoption or abortion. Our patient advocates do not judge any person or situation. We listen to your questions and concerns. You have options and we can help empower you with resources and information. 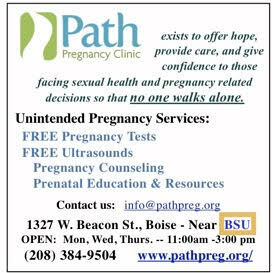 Path Pregnancy Clinic exists to offer hope, provide care, and give confidence to those facing sexual health and pregnancy-related decisions so that no one walks alone. All services will be offered at no charge to all persons with pregnancy-related needs, regardless of race, creed, color, gender, religion, national origin, age, financial or marital status. 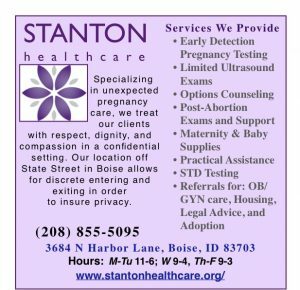 The mission of Stanton Healthcare Services is to prevent teen pregnancy and the spread of sexually transmitted diseases and to provide women facing an unplanned pregnancy with life-affirming options in an environment that promotes physical, emotional, and mental well-being. Building a coalition to promote life. Created by: IronSharpensIron.Inc by Jacob.